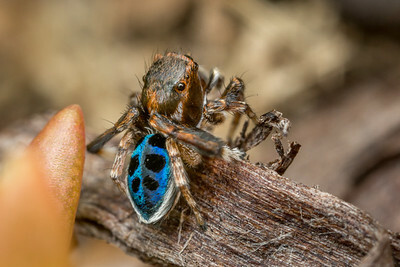 The charming Maratus nigromaculatus peacock spider in my front lawn. Woodgate, Qld. 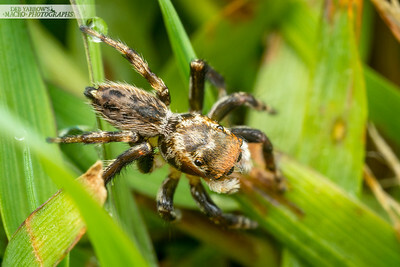 Hypoblemum albovittatum jumping spider in the lawn. Woodgate, Qld. 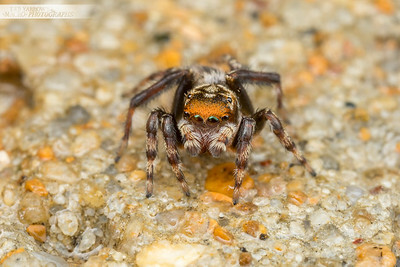 Hypoblemum albovittatum jumping spider on concrete. Woodgate, Qld. 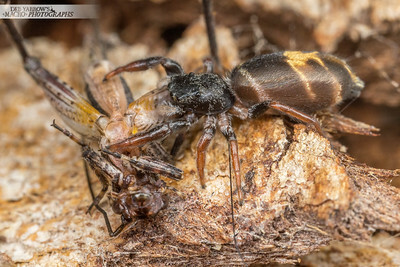 Jumping spider with cricket prey on a tree trunk. Girraween NP, Qld. 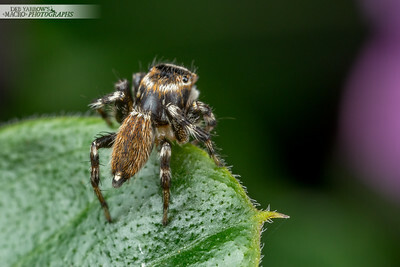 A yellow jumping spider (Salticidae sp.) 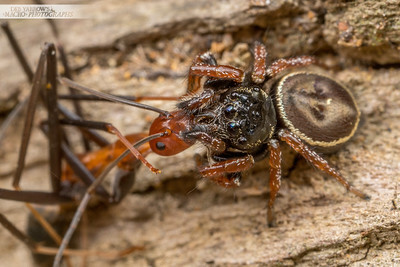 feasts on a male winged ant (Rhytidoponera sp.). Kyogle, NSW. 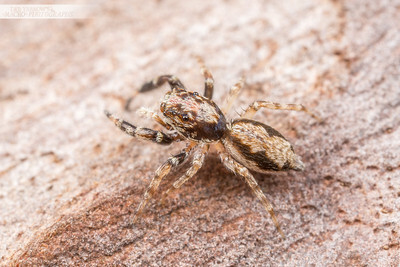 Brown and white jumping spider on bark. Kenmore, Qld. 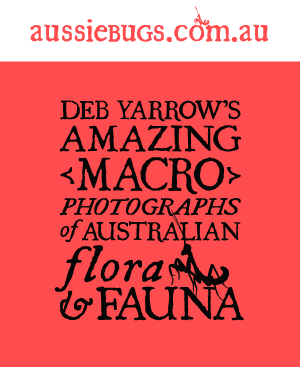 Possible Hypoblemum sp. Kyogle, NSW. 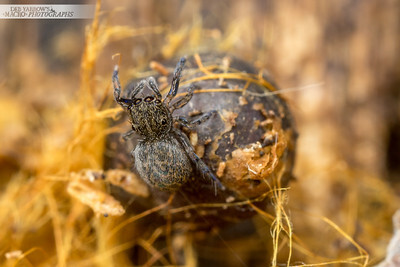 Jumping spider found in a rotting log. Kyogle, NSW. 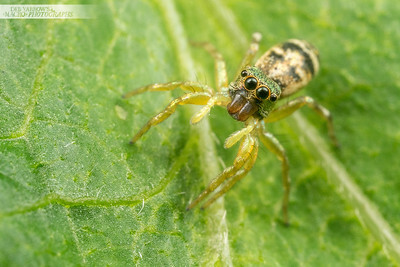 Possible Menemerus bivittatus. Cania Gorge, Qld. 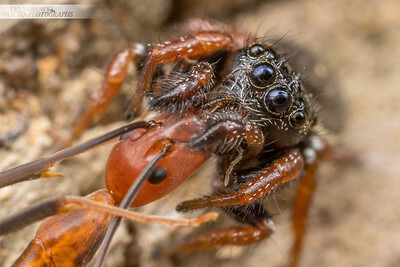 Round Ant Eater jumping spider feasts on a spider ant (Leptomyrmex sp.). Cania Gorge, Qld. 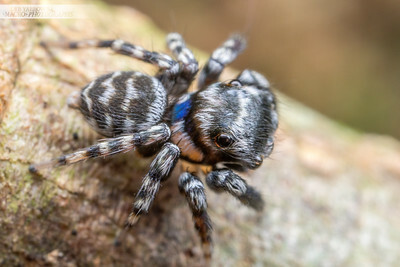 Jumping spider with a blue stripe on the back of its neck. Cape Tribulation, Qld. 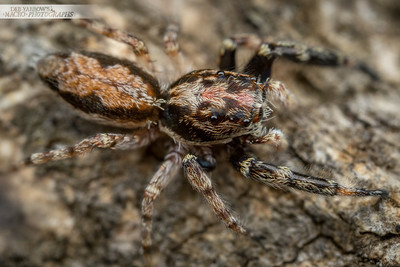 Male jumping spider in his hide on a tree - at certain angles his legs would glow a beautiful blue under flash. Cow Bay, Qld. This gorgeous old lady has lost some of her sparkle but she's still a beautiful spider. 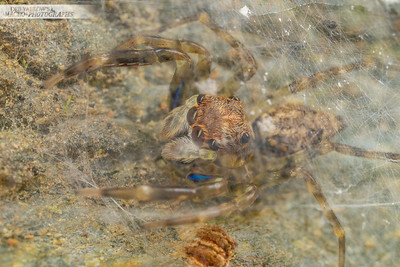 Possible Cosmophasis sp. Toolakea Beach, Qld. 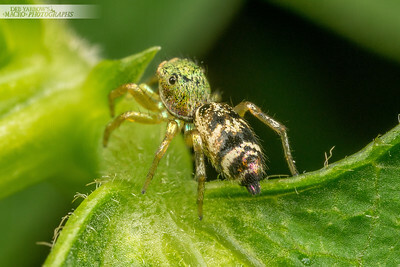 Metallic green and purple Salticidae (Poss. Cosmophasis sp.) is living on a bean plant. Toolakea Beach, Qld.